silvieon4: Introducing, Miss Ella... AND THE BIG NEWS!!!!! But, let's talk about Miss Ella. Her momma tells us " J I rescued her. She was a bomb school failure. That’s ok though, it’s because she’s DA’BOMB! ". Sniff, adjust my tail, I think Miss Ella was dang lucky she failed at bomb sniffing. She looks more apt to being a lovable companion. Besides... I am not into anything that could end in a kaboom.... know what I mean? Ok ok ok , on task. Anyone reading my blog knows about momma's feelings on store bought "treats". She has waged a long campaign against what she calls "toxic caca". she even publishes a BUTCHER'S BILL. Her rage has been rightfully fueled by the recalls, the FDA warnings, the documented deaths of innocent pets, etc etc... In my house we home cook. I will be honest with you. when I am offered a store bought "treat" I have no idea what to do with it. Eating it does not come to mind. Polite manners dictate that I take it... and I find myself burying it and eventually I think the vacuum sucker upper eats it. That thing seems to have no taste buds... ick. So.... after the last round of recalls momma published more home made recipes. One of our readers remarked that the "whole process of making food for your pet is too complicated". HUH???? Well, you know my momma. She took that remark like a stab to heart. And she looked around her kitchen and asked herself... "What piece of equipment is the most useful in making treats and meals for my furbabies?" And... stuff from it is always delicious. We all knew something big was about to happen. Momma walked to EXCALIBUR , looked for her manual and said.... "YES. YOU ARE IT!" JD, The Wendy and I exchanged looks. Momma is strange, but in a good way, so we decided to watch and be vigilant. Nothing must happen to our EXCALIBUR.And we had no idea what that woman was going to do. Next thing we know momma is on the phone talking to EXCALIBUR and e mailing Ella's momma! In all the time I have been blogging, momma has absolutely refused to monetize, endorse... blah blah products. Integrity is not for sale- her words. So... this phone call was "stunning" to say the least. But the bottom line is.... WE really truly, honestly love EXCALIBUR. So, momma asked them to help us spread the word, and after some thinking it over and talking it over with Miss Jodi, Kol's momma, a contest was devised. Yes yes yes, we will post details shortly! And we invite everyone to participate. You can win an EXCALIBUR by submitting a recipe. 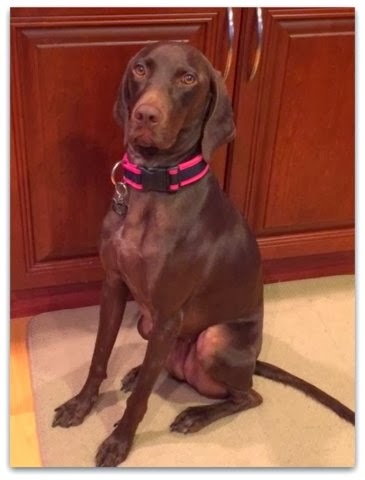 Ella, your momma is terrific and we are ever so grateful to EXCALIBUR for agreeing to sponsor our contest which is solely designed to show people that healthy home cooking for your pets is EASYYYYYYYYYYYYYYYYYYYY!!! Phew. THAT'S SOME BIG NEWS! We forgot to say that was just grand news about Ella...just grand!! Stellaroselong, that is the theng... YOUR MOMMA cannot ever screw this up. This machine is "husband proof".... my daddy made treats, on HIS OWN! seriously... and this man...is not what we would call "kitchen savy".